With the busiest season in the history of UIPM Sports now under way, many countries have been using the wide array of opportunities in development sports to build a platform for the activities to come. Here are some examples of what has been happening around the world in advance of the UIPM Global Laser Run City Tour and other landmark development competitions. 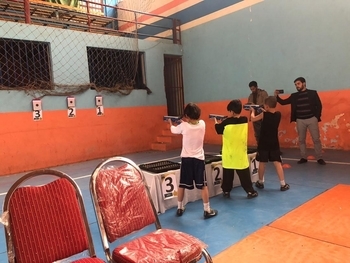 In Afghanistan, committed pentathlon enthusiasts have continued to create development opportunities in spite of the ongoing conflict in the country. A one-day Laser Run tournament was held in celebration of Army and Soldiers Day, which saw hundreds of athletes of various ages compete and pay their respects to the armed services. In July and August, the Afghanistan Modern Pentathlon Federation will host two GLRCT competitions for the first time in Kabul and Bamyan. In Singapore and Indonesia, Laser Run competitions were organised to search for athletes to represent the two countries at the 30th Southeast Asian (SEA) Games in September 2019. Singapore is on the GLRCT circuit this year. In Russia, Laser Run family competitions took place in the city of Cheboksary with more than 25 families competed for cups and diplomas in the relay format of mother-child-father. The city will also host GLRCT in 2019. 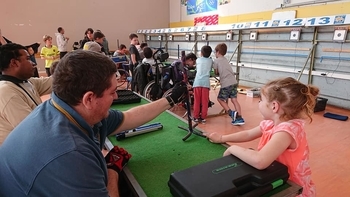 Various trial events are happening all over France, including the Para Laser Run initiation of the Catalan pentathlon society PMPC 66, who arranged for wheelchair athletes to participate in the sport. In South Africa, the Western Province Modern Pentathlon Association put on a range of Biathle-Triathle competitions for selection purposes and to prepare for one of the first GLRCTs of the 2019 season in Cape Town. UIPM President Dr Klaus Schormann said: “On behalf of our global pentathlon community I am proud to say that we are making truly great strides in the development of our non-Olympic sports. For more information on UIPM’s various multi-discipline sports visit the UIPM website. Have you liked the UIPM Laser Run page on Facebook yet?